It's a serious winter wonderland outside right now. And that can only mean one thing...that it's time for snowman building!! And OK, yes the authentic frolicking in the snow and assembling Mr. Frosty with mittens and frostbitten noses is a great way to go...but I'm thinking once that in through, we need to come indoors for some hot cocoa and a much warmer snowman building of sorts. 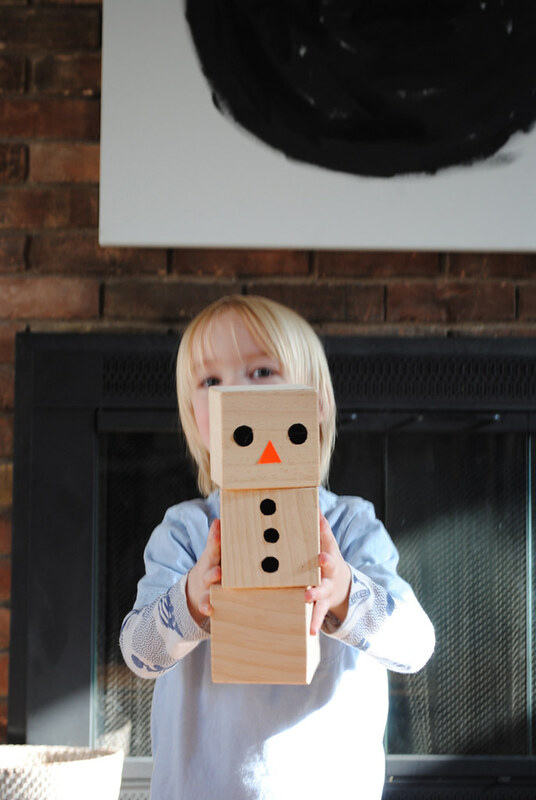 And this simple modern snowman is just the ticket. I was over the moon to find these large blocks at our local craft store (thinking some more mix-n-match um's are in order with these puppies) and knew that our friend Frosty needed to come to life. We kept it super simple with just a set of eyes, a triangle nose and some buttons. We made them with our favorite craft supply de jour, duct tape, but you can paint yours on if you like. Have fun with it! My mother-in-law has a great after-Christmas tradition where she brings out all things wintery and snowman related to keep the after-holiday blues at bay. I love this idea. 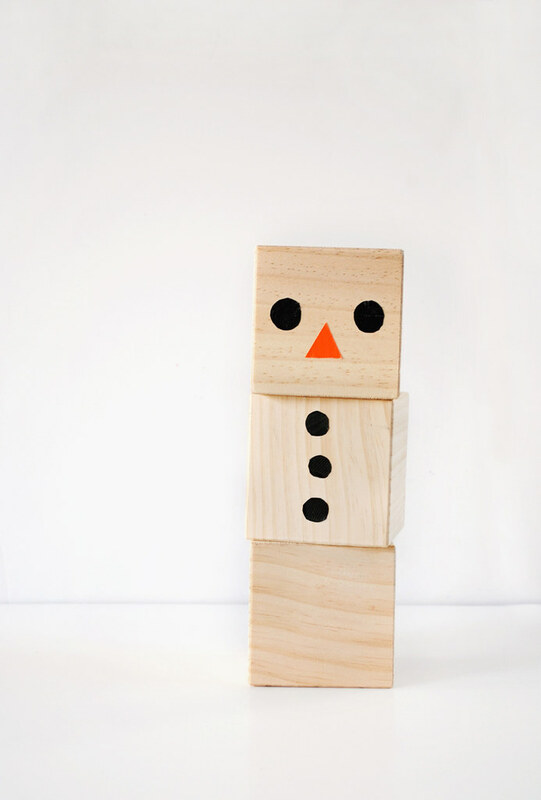 And our simple frosty block friend is just what we need to keep us merry and bright, even when the tree comes down. What about you? Any after Christmas/New Year traditions that help keep your spirits up? I'd love to hear what you do and any great tips you might have. Thanks! Merry Christmas from all of us over here at Mer Mag! I hope you had a most lovely holiday and are gearing up for a great new year. 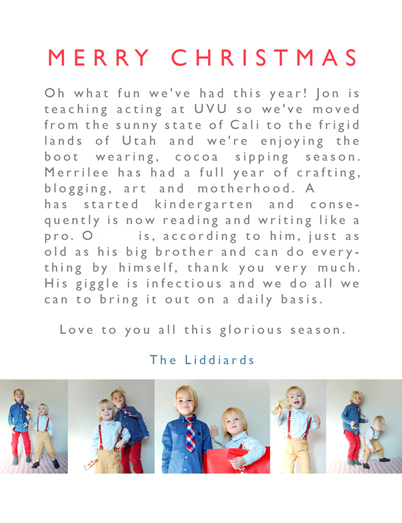 This year has been incredibly good to us and we feel blessed to have shared it with all of you. 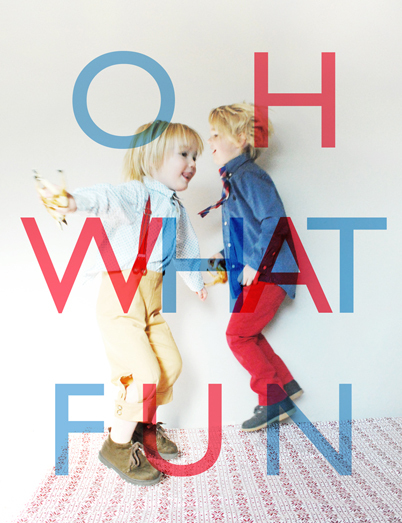 We have so much fun in store for 2013 (ALT! We are working on our first kids craft book!! - maybe a facelift for Mer Mag, etc.). But first we are happy to reflect on the joy and peace we feel this season. There is so much to be grateful for - new babies, happy times together, fun opportunities here at Mer Mag and much much more. We thank you for going on this journey with us and hope to share more times together with you in the new year. Love, peace and joy to all of you. 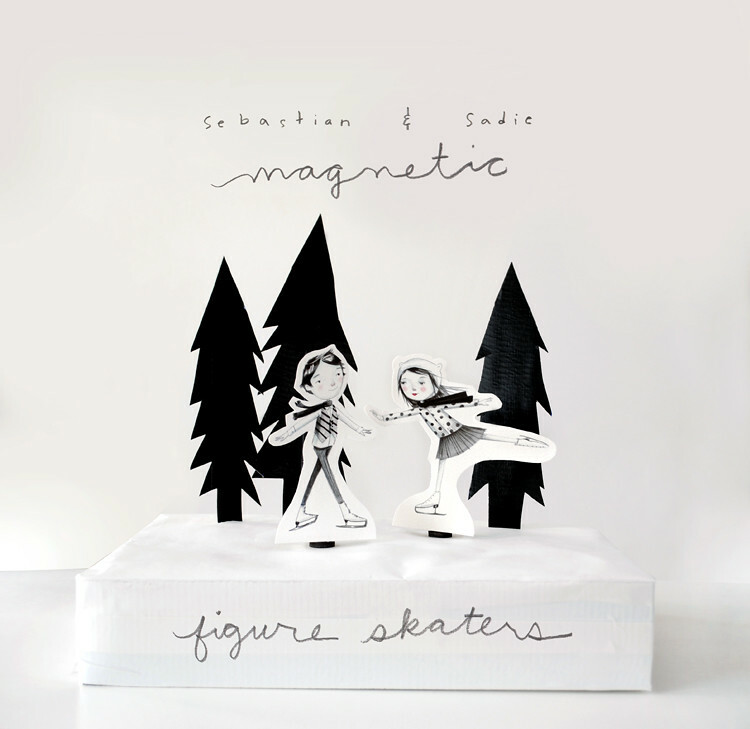 Magnetic Figure Skater Toy Download in the Shop! 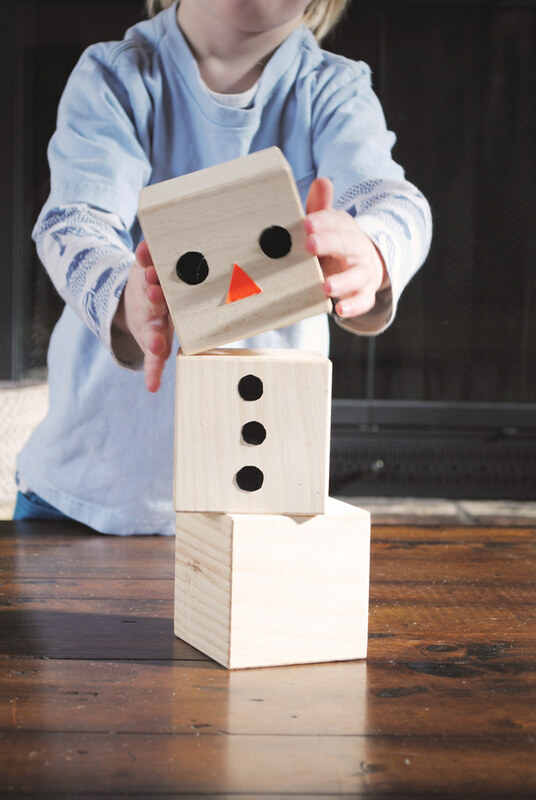 School is out for winter break and if you are like me, you need fun activities to keep little hands busy, busy, busy. Well expert figure skaters, Sebastian and Sadie, are here and ready to help with that! To get started, purchase the download here for only $3.99, complete with both figure skaters and three tree shapes. Print out the figure skaters (I recommend using fine art heavy card stock or taking the file to your local print shop for the best quality of print) and cut them out. Cut out support tabs and glue long vertical strip to back of skater for support. (I find it's also helpful to add a piece of thick foam or cardboard for additional support). Once the glue is dry you are ready to try out your new skater on the "ice"! To create your ice rink, take a large discarded cereal box and place it on it's side. You may cover it in white butcher paper before hand if you like, leaving one end open. Create slits in the box where you'd like your trees to go. 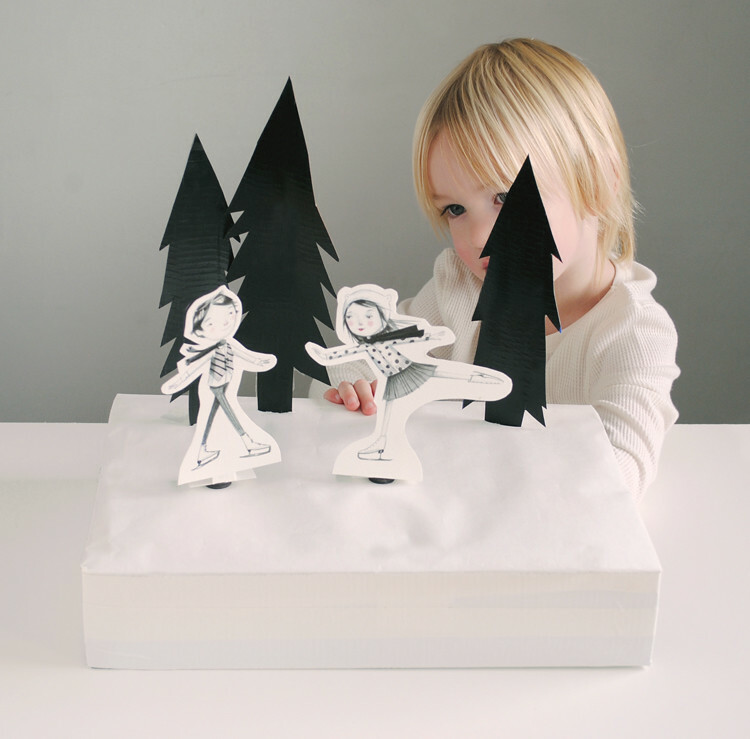 Print out tree shapes. (You can keep them as is or cover them in black duct tape as we did here). Place large tongue depressors to the backs of the trees. 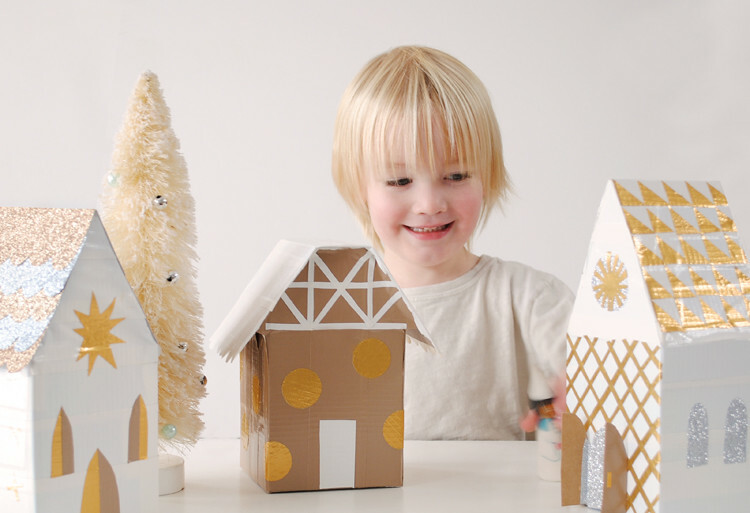 Now you are set to place your trees within the slits you created in your large box. Place your skater a top the box and than place a corresponding magnet within the cereal box and directly below the skater. Magnets should meet up. You are now ready to move your skater around on the ice! So fun!! These make a great stocking stuffer or craft/toy to play an create with friends and family members during these winter months! Hop on over to the shop to get started on your very own skaters now! If you are like me you relish the season of scarf wrapping, boot wearing and cocoa sipping. 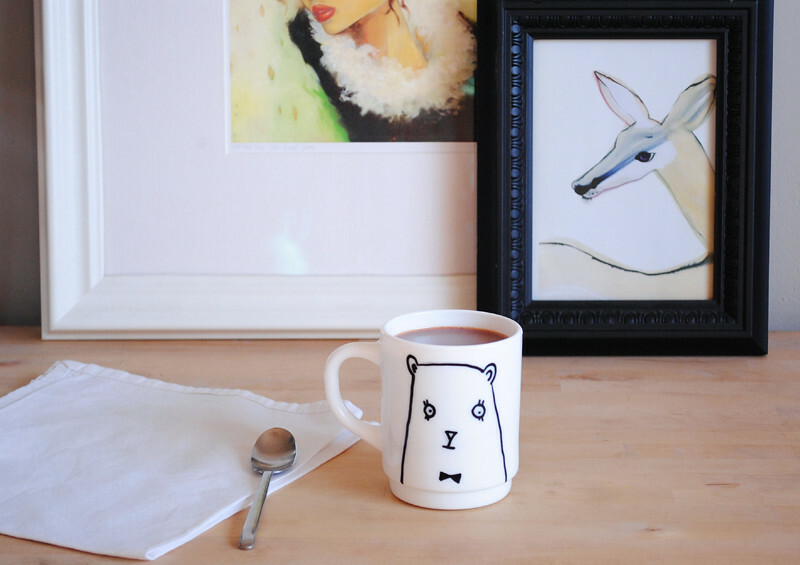 And if you have this cute little handmade bear mug greet you each morning with your favorite warm beverage, well 'tis the season to be jolly indeed! 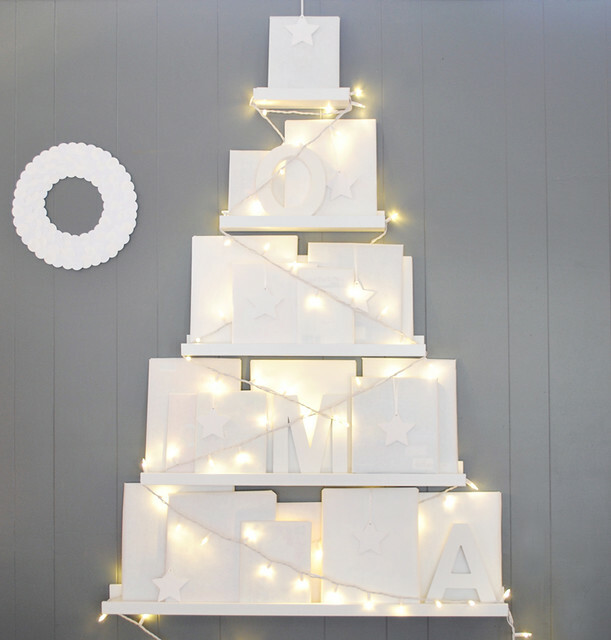 So head on over to Design Sponge for this weeks DIY gift idea. This little guy is so super simple to make. I promise. You'll be able to mark off quite a few gifts on your list with this furry buddy! 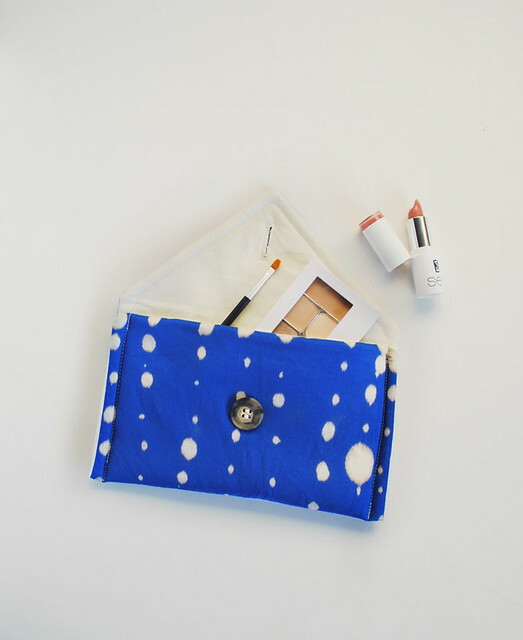 And because we know you might still have a few last-minute gifts to check off that list, we are sharing not one, but two DIY's with you this week! 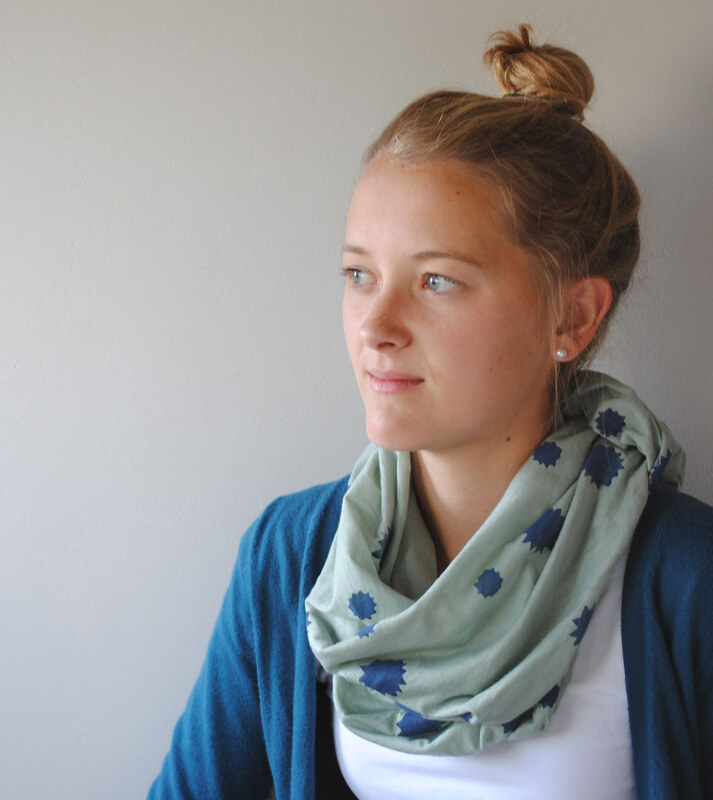 This no-sew hand stamped scarf is the perfect thing to make in an afternoon. And don't be afraid to let little hands help with the gift creating and giving. But be careful, they just might look so cute in your creation you'll have to keep one just for them. Good morning friends. It's snowing outside of my window as I type and it's looking like it just might be a white Christmas indeed. Yippee! Which means, after the snowball fights and snowman building, it is the perfect time to come inside, sit snugly indoors and create with my Littles. I don't know about you but this time of year often brings about a case of the sniffles. Which means we have have number of tissue boxes lying around the house. Well the Littles and I discovered just the thing to do with them. 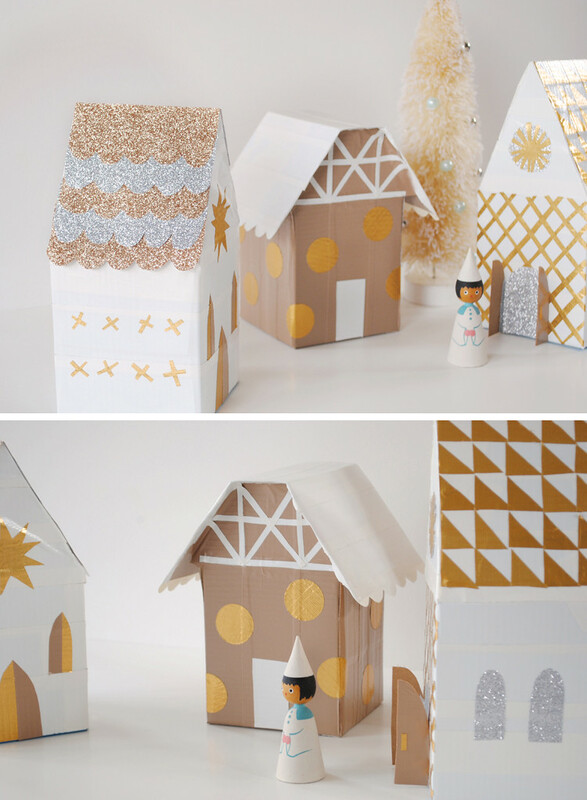 Make a little Christmas village, using glitter and duct tape of course! So that is just what we did. To make the structure of the roof tops, we just cut up a few other tissue boxes (or any other discarded cereal box, etc.) and created the roof shapes atop the tissue boxes. We then proceeded to cover them with the duct tape and then had lots of fun decorating them! 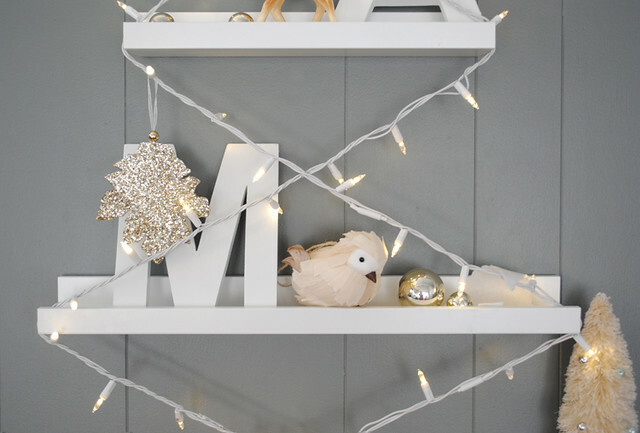 We were so excited to find this gold and silver glitter tape, from Martha Stewart, at Michaels, and knew right away that it needed to be used in our little village. I love how it makes the shingles sparkle and come to life (and an extra bonus - it's really easy to cut). I also played around with our hole punch a bit and was able to create polka dots with the gold duct tape by spreading out the tape onto parchment paper prior to punching. With a little finesse, they turned out great! (In fact we have updated our duct tape cutting methods altogether. If you lay it out on the parchment, you can get a really nice clean cut with scissors and create just about any shape your heart desires! Best thing about it: the Littles can be more involved in the cutting stage now! Yippee! I'll have to do a tutorial of this new cutting method on the blog soon). 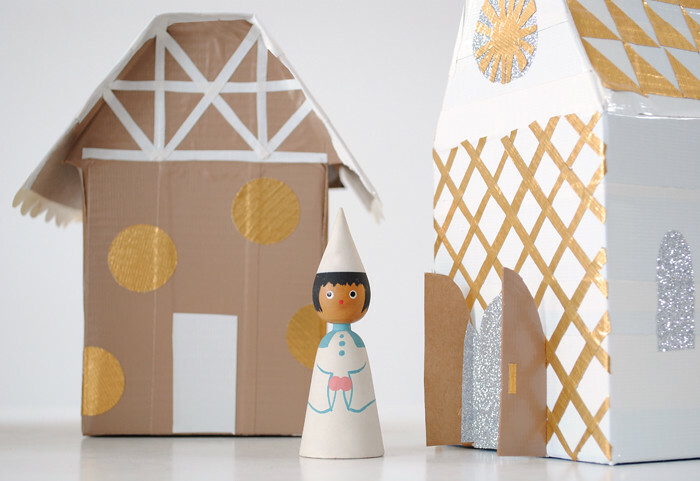 And our little vintage wooden angel is just the perfect friend to inhabit our little village. 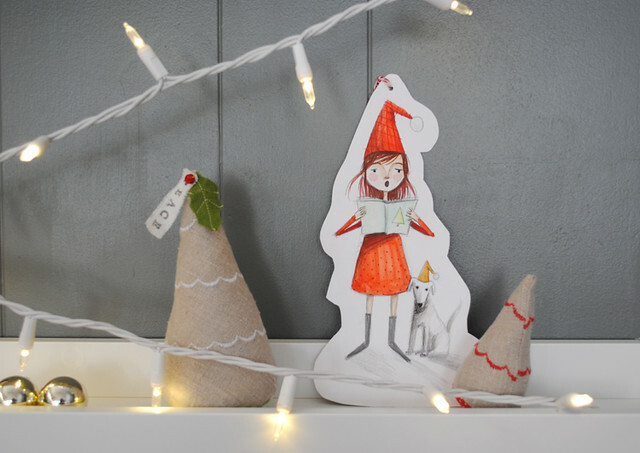 Makes me want to create a few more wooden friends for her to carol to. And how cute would it be to cut out the window and door shapes and then add a few battery operated tea lights or even a strand of white Christmas lights on the inside? I just might have to do this variation in the next day or so. Would be so magical indeed! Friends the Christmas countdown is on! But if we act fast we do still have time to purchase a number of items online. 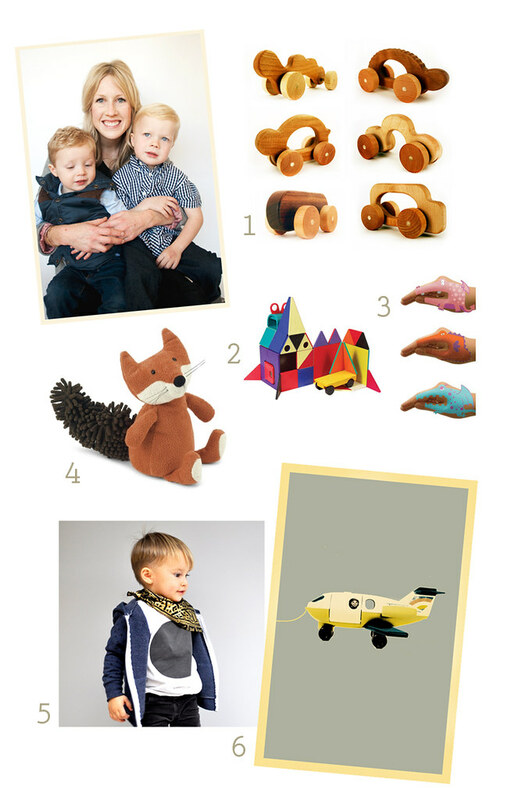 Which is why I'm sharing with you a great gift guide from one of my dear friends (who just happens to have incredible taste and two crazy adorable boys) Lorraine Galvin. Here's what Lorraine has to say about her picks. 1. Tree Hopper Jalopies: These look so cute! I love the natural wood and handmade feel of them. 2. Magna Tiles: I have been waiting for Christmas to buy these because they are a little pricey. Warren plays with them at preschool and a dear friend suggested that I get a set every Christmas to build a collection. I've already ordered and wrapped these! I can't wait to see what they create with them. 3. Animal Hand Tattoos. Warren loves these things and we've been giving them to his friends for their birthdays. I love the designs- and they are only $5.99 at World Market. 6. I LOVE South and Summer's graphic prints. My favorite is the airplane and my kids favorite is the robot. Thanks Lorraine!! I'm so excited to know about Jellycat's. They may be old news to some but I had never hear of them. Such great picks! What about you guys? Have you finished all of your Christmas shopping yet? Hi friends! 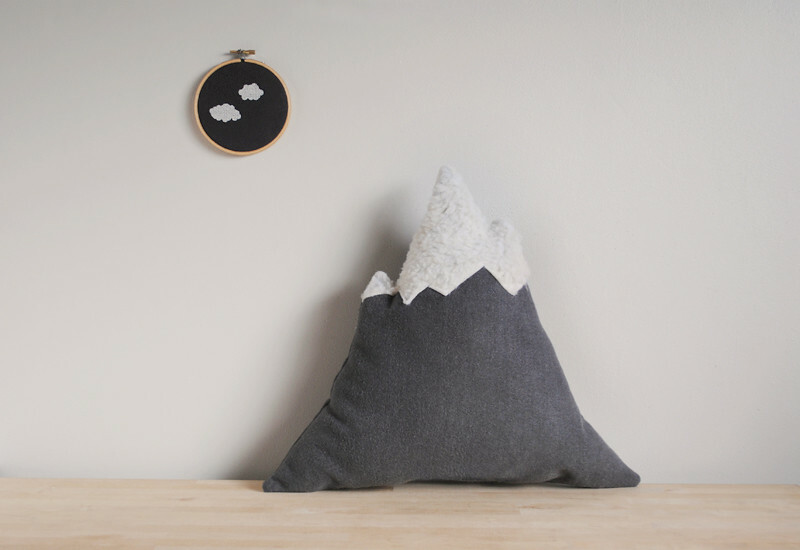 Today I'm sharing with you my love for all things alpine and snow peaked with this cozy little mountain pillow for your home. Head on over to Design Sponge for the full tutorial! 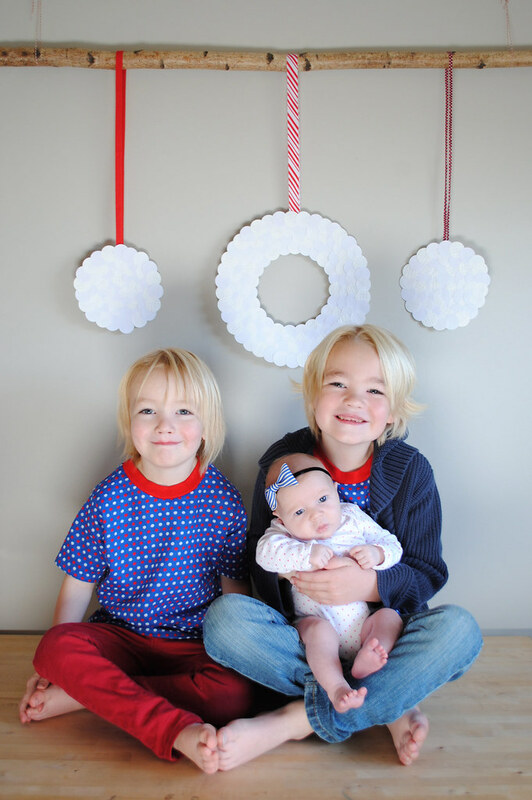 The boys and I have been crafting up a storm around here to get into the Christmas spirit. 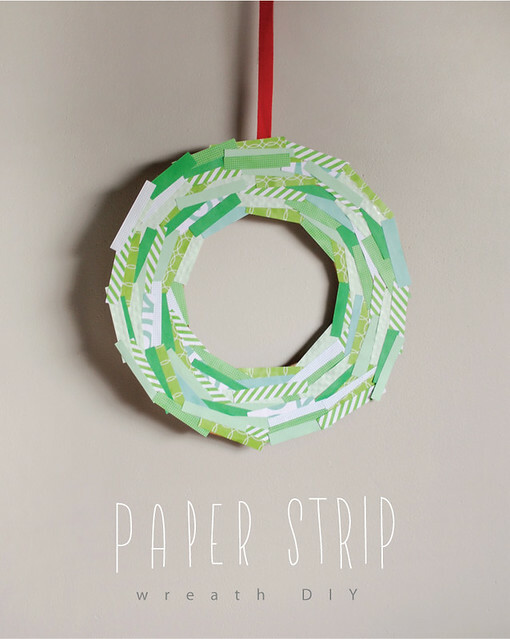 And there's nothing we like more than simple easy crafts like this paper strip wreath. 1. To make this we used the cardboard from the bottom of a frozen pizza (yes with the new little baby in the house we've been having one too many Papa Murphy's as of late...we all can't wait until mom gets back into the culinary swing of things...). 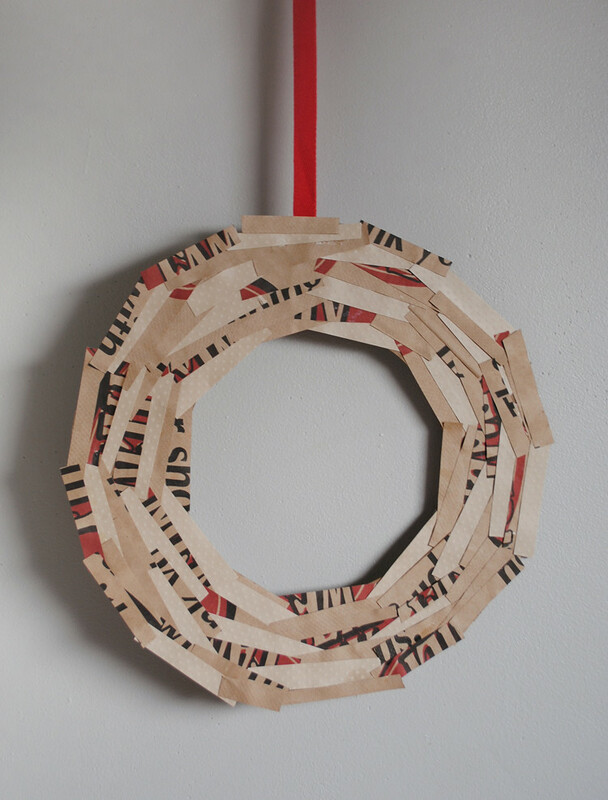 We then cut up a bunch of strips from scrap paper we had lying around our craft room to be used as the foliage of the wreath. 3. and I used a utility knife to cut out the middle circle section. 3. He then continued outward, choosing between a variety of green colored strips. 4. Until he reached the out edge of the cardboard where he finished off the wreath. And we couldn't of course stop there. 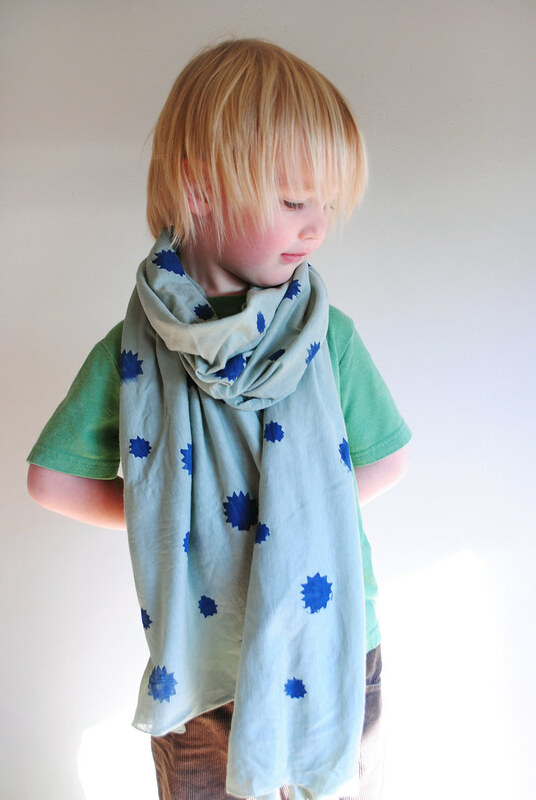 Little O wanted in on the action and we made this fun variation with a paper bag we had lying around the house. 100% recycled craft. Loving that. 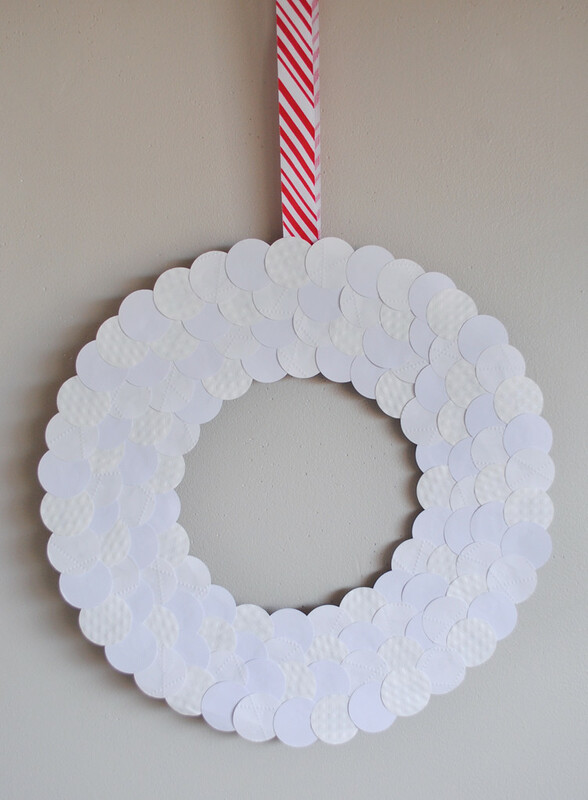 And as you know I do love me a good circle punch, so I had to have a go at a snowball wreath as well. I'm just loving how all the textures of the papers pop out on this one. We then took the inside cardboard and made snowballs with them. Yeah, we got a bit carried away...but that is what is so great about these wreaths. The variations are truly endless and they are so easy and quick to put together, you just won't be able to resist doing all of them! Happy Monday friends! 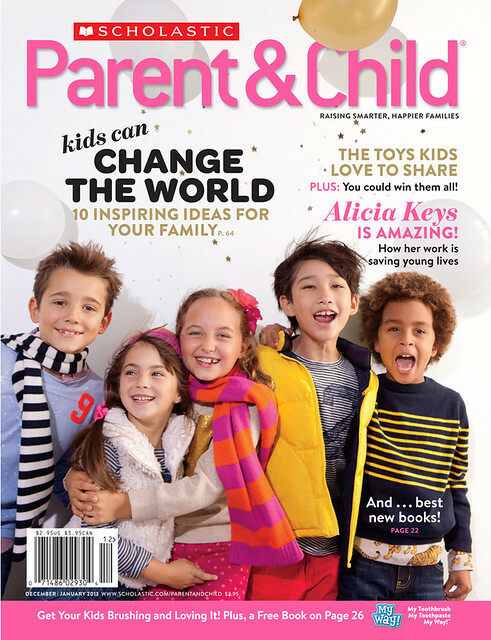 Have you seen the latest issue of Parent & Child magazine yet? It's full of some really great stuff. 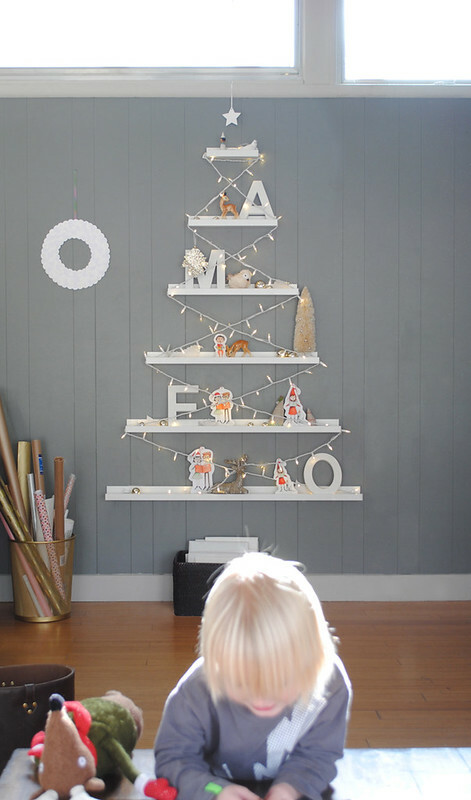 A few months ago they asked us to share with you some great duct tape crafts that you can do with your little ones (of all ages) and we are so excited to see it out. Meta was my go-to for props and photography and she also had some great connections for little models. Like this twin brother and sister pair who modeled the belt and headband craft. Are you not just in love with them?! They were really great to work with (in another lifetime I want to have twins :)). And do you recognize this little cutie? She made an appearance in my Babiekins headband tutorial. Darling girl and a natural in front of the camera. She's seriously one of the best I've worked with. 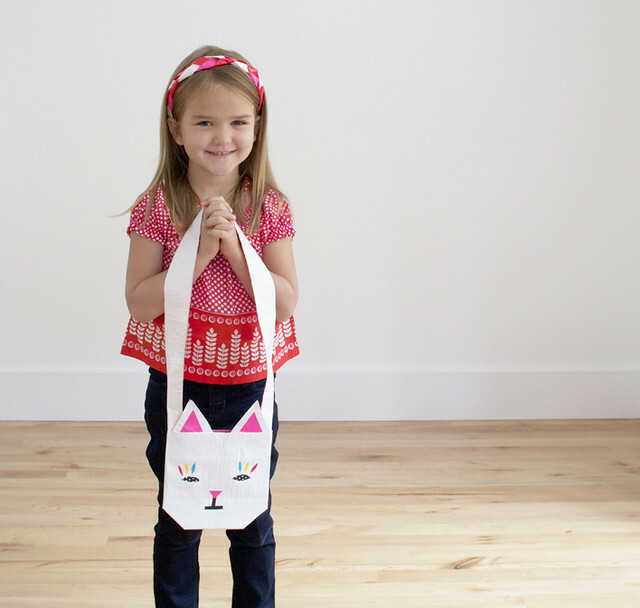 And I have to say, this little cat purse just might be my favorite craft in the article (but it's so hard to pick just one!). 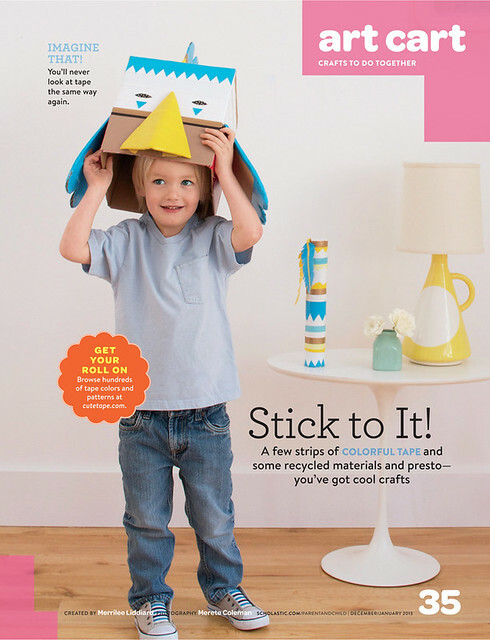 Check out Parent & Child's latest issue, on stands now, for full instructions. (Oh and Little O was excited to make the cut and finally see himself in a magazine as his older brother has had his own little dose of print fame. The above photo didn't make into the magazine but I think it's just oh so sweet.). 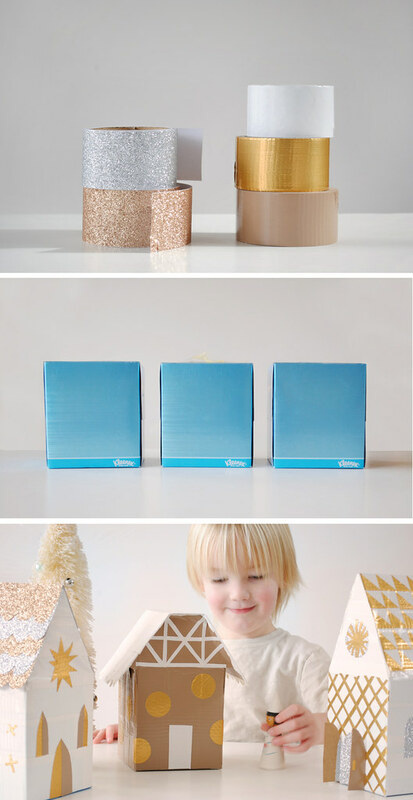 And as it is the season of giving, wouldn't these be the most perfect gifts for your kids to make and gift?! 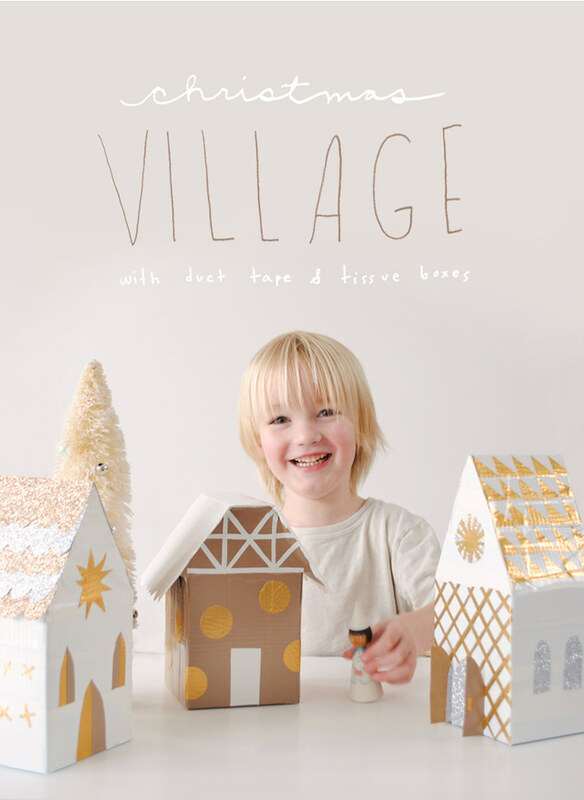 These are seriously some great, simple and affordable hand made gifts for you kids to get in on the spirit of giving! Something we all want to foster within our kiddos, right?! 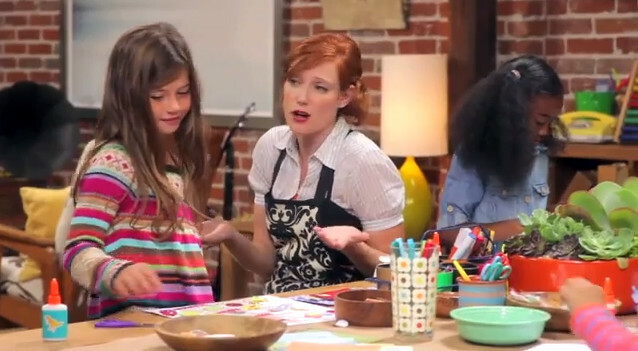 Have you guys heard of the new kids show, Ruby's Studio?! If not you are in for a real treat! 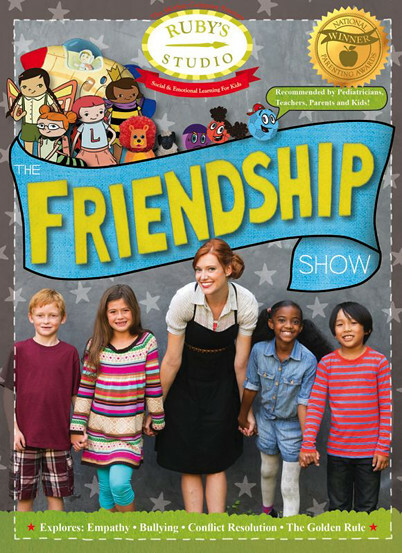 It's a great kids show that is perfect blend of fun, helpful, endearing, playful and, thank goodness, not too cheesy. Oh, and best test of all - Little O loves it. 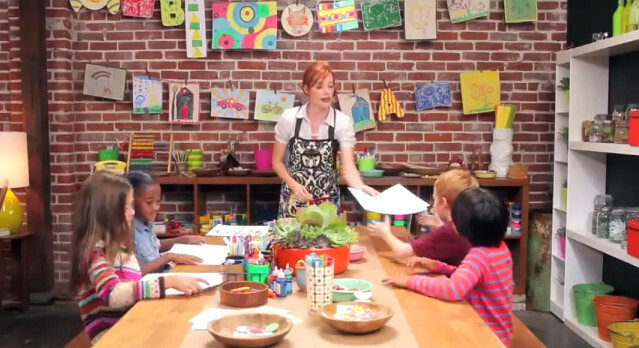 So you can imagine how thrilled I was when one of the founding mom's, Samantha Kurtzman-Counter, contacted me and asked if I would be interested in creating crafts for the kids to do on the show. After familiarizing myself with the company and the show, I felt like it was a perfect fit and couldn't have been more on board. And now I'm over the moon about sharing this show, and our crafts, with all of you! Out now is a delightful episode about friendship, which you can watch now by purchasing here. 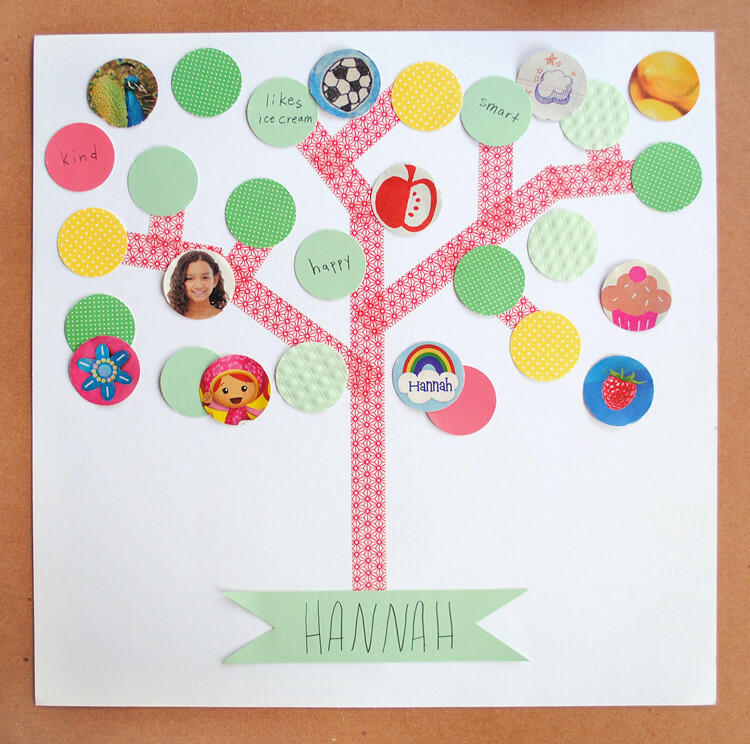 In it you will see just what you need to create our friendship tree. And as is always a thrill, I love seeing these little ones take this craft and make it their own. Seriously so great. Oh and can I just say that I want Ruby's studio. I mean isn't it the coolest? 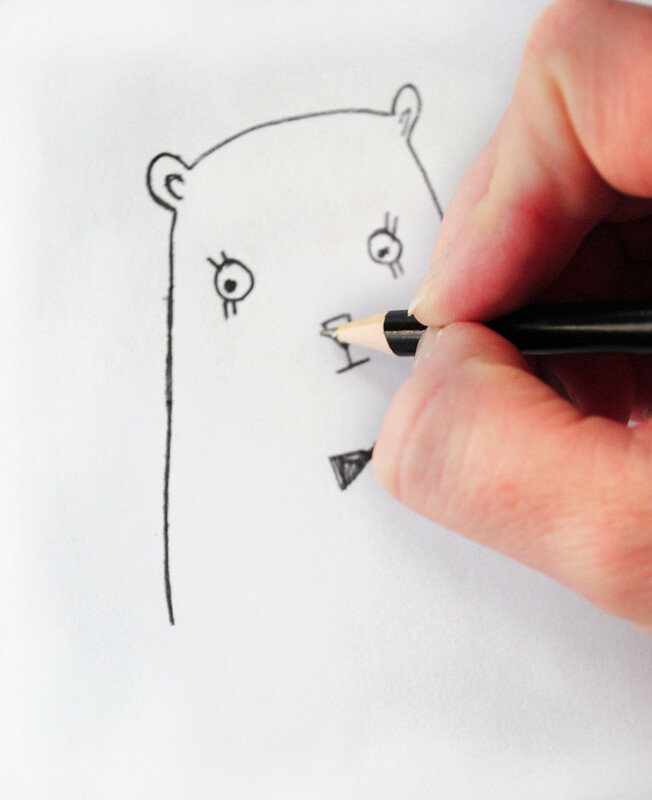 Perfectly designed to inspire creativity. Makes me want to get my craft on right now! If you think you might be interested in this great show (and I know you will be!) take a look here. The premiere Feelings show is really great too. 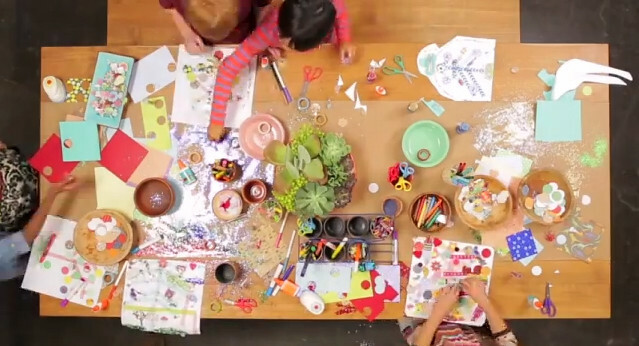 And stay tuned because both Ruby and I have a lot more episodes full of fun crafts for your little ones! I wanted to do something different with our Christmas tree this year and after a recent trip to IKEA, I knew just what to do. Using IKEA's Ribba Picture Ledges Jon and my brother Kenton (who was in town for Thanksgiving) helped to make my vision come to life. I was hoping to post on this much earlier but with baby girl in the hospital all week last week (with RSV - she's doing much better) things got put on the back burner a bit. But let me tell you we've loved having this tree up (the boys too! I was afraid the wouldn't think it was as cool as a real tree but they tell everyone about it wherever we go!) and it was just the perfect thing to calm our hearts when coming home. The cuts were simple and quick to make. 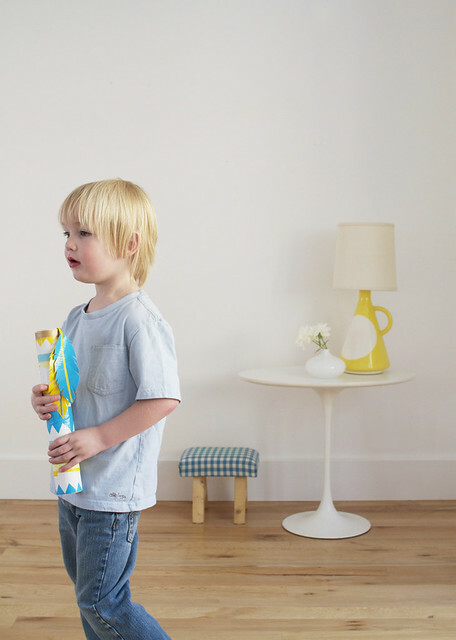 To install, we took a look at our wall and determined that we wanted 12" between each shelf. Then using our Command Strips we put our tree up. We used a total of 6 large strips for the lowest shelf, 4 for the next one up and so on, adjusting according to the size of the shelf and what we wanted it to hold. We then got out our holiday trimmings and decorated our new tree! The boys love it! We just have to advise them not to play with their toys on the shelves too much (yeah right! There's a good reason why the styling is off a bit on the bottom shelf ;). I also recently tried another variation by adding all of our books from our advent to the shelves (something I actually had in mind from the get-go). I'm super happy with the results but I will advise that if you are trying to go this route, I might secure the shelves to the wall with screws as the Command Strips might not be quite strong enough. This project was so much quicker than I had even originally imagined so you definitely could still do it this holiday season. 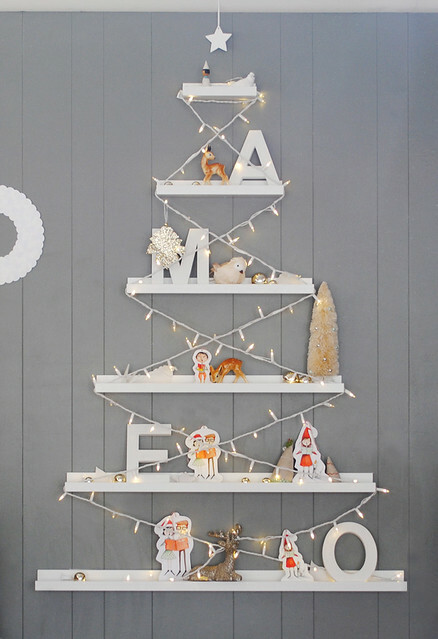 There are so many different ways to go with this and the decorating options are endless. I already have an entirely new deco scheme planned for next year! (or maybe I'll do it this year...you never know what mom's going to rearrange around here). 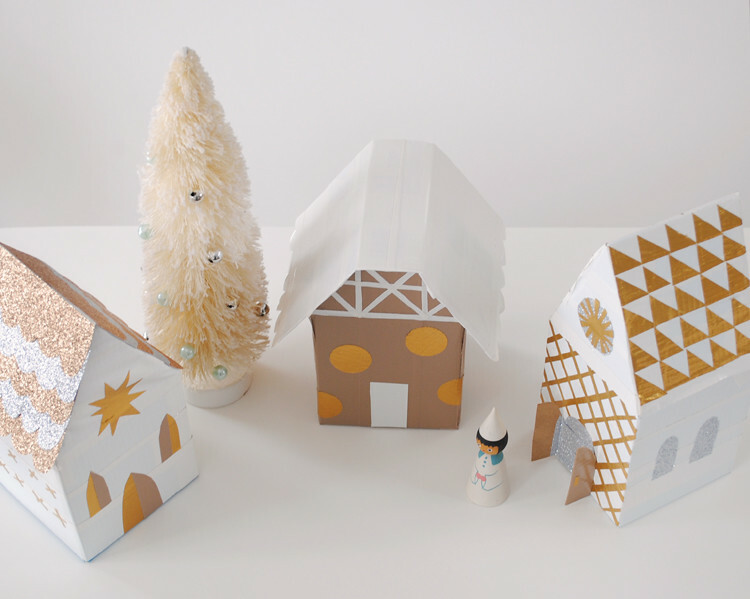 When Kate Pruitt, of Design Sponge, asked me if I wanted to contribute a few DIY crafts for us older "kids", just in time for the holidays, I jumped at the chance. You know that I'm completely enamoured with kids crafting but I welcomed the chance to kick up the sophistication a notch. 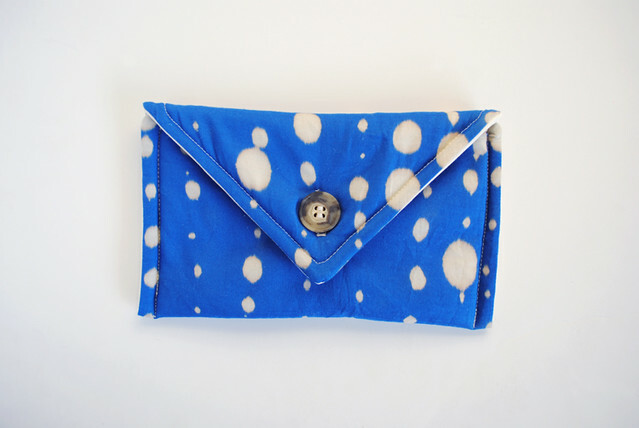 This week I will be sharing with you how to create your very own Bleach Dotted Clutch. This would seriously make the most perfect gift and trust me, it's very easy to make. 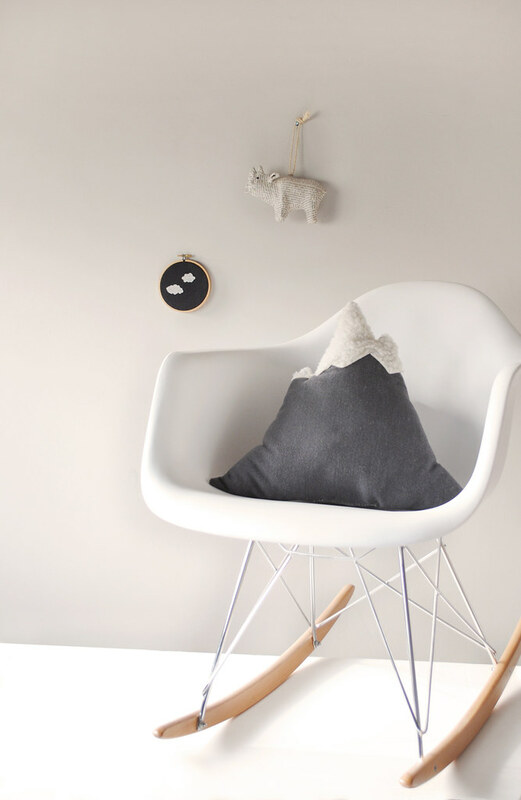 Hop on over the Design Sponge for the full DIY. But be careful, you just might fall in love with this so much, you'll want to keep it for yourself! (and OK, since I just can't help myself, you could do this with the Littles too - particularly the 8 and up crowd. Just supervise the bleaching part. Otherwise it's seriously a great "learn how to sew" project! Perfect little pencil pouch.). Hi Friends and happy Monday. I can't tell you how happy I am to start another week. Baby M is out of the hospital and just about over her RSV. Not a fun stint...but we are happy and mostly healthy now and glad to be out of the woods. I wanted to share with you our Christmas cards from last year (top image is the front of the card, bottom image is the back). We did them so last minute that I didn't have time to share them last year. It's fun to remember these times and what a happy year that was. It's crazy to look at these two little rascals and think that there was ever a time when it was just the two of them. Baby M has already melded a place within all of our hearts and we can't wait to share this season with our sweet little girl. And I can't deny that I'm just a wee bit excited to delve into dolls, doll houses and the like. OK, I'm down right giddy about it.